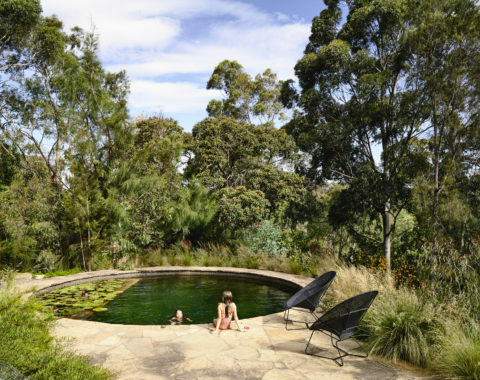 Affectionately named Red Rocks, the expansive garden has become a weekend ‘Eden’ for the Melbourne-based couple, who bought the property on the Great Ocean Road seventeen years ago after falling in love with its rough, natural beauty. 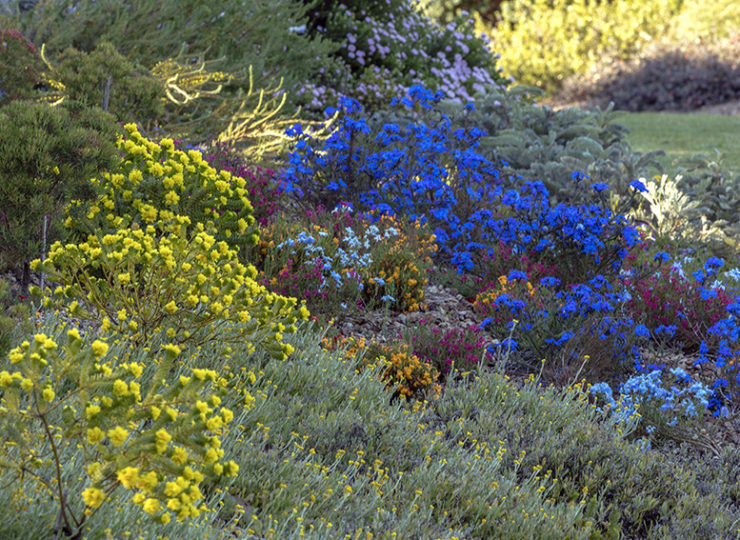 Today the garden is spectacular in every way – an encyclopaedic botany of 844 native species. 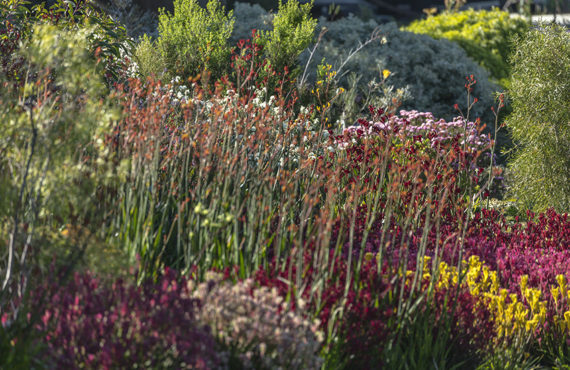 It includes flowers, grasses, shrubs, trees and leaves in every shape and hue imaginable, showing off the spectrum of eccentricity and beauty in Australian botanicals. 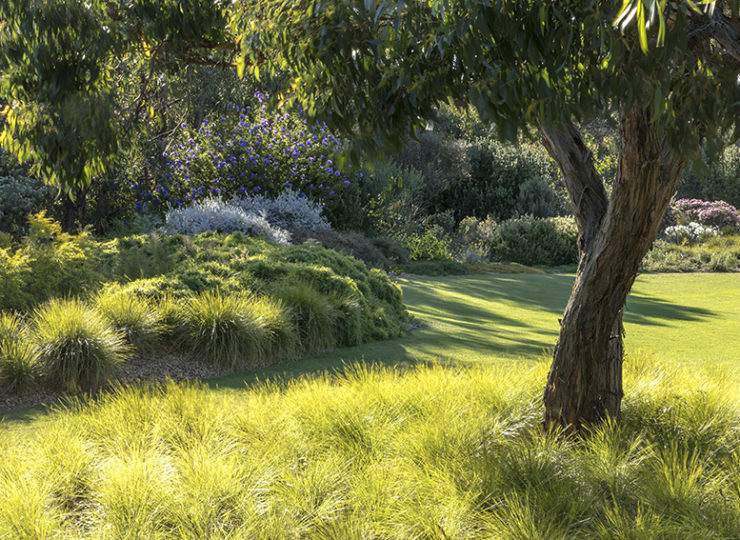 This is a true ‘Australian garden’. 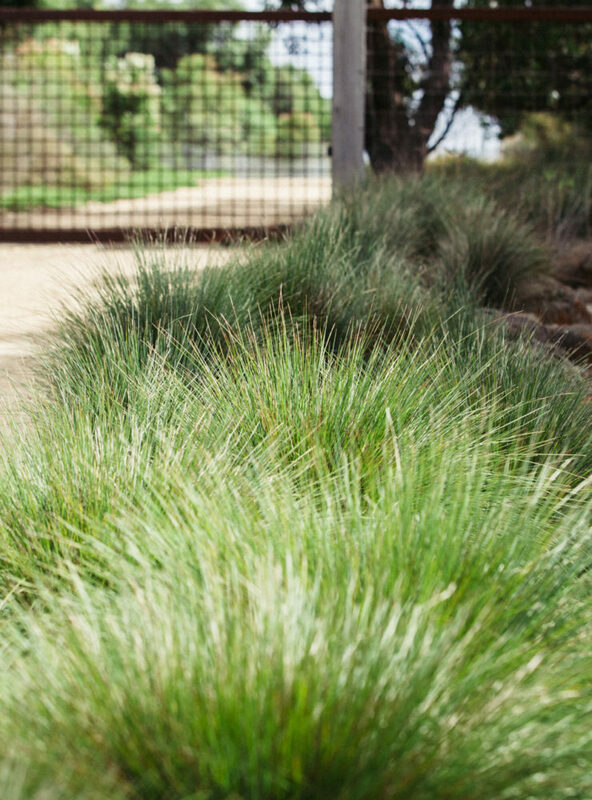 When the couple arrived in 2011, the site had beautiful flora but it was struggling in poor soil and strong wind conditions. 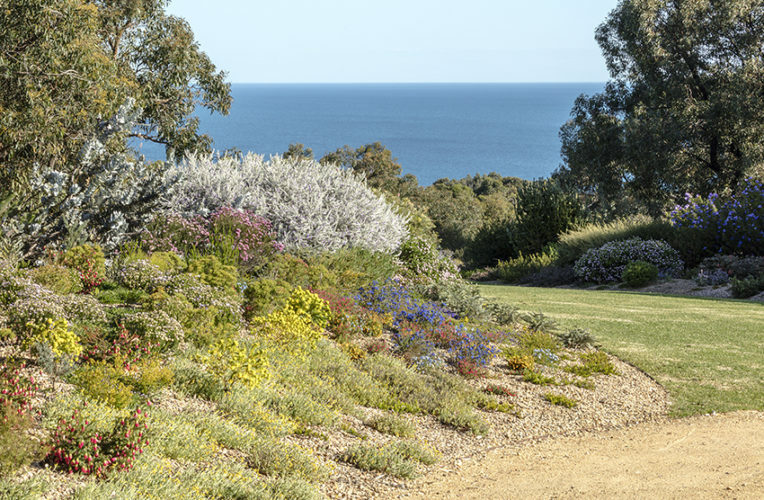 They quickly decided to plant a mix of indigenous (local) plants and native (Australian but non-local) plants to give the garden strength and colour. 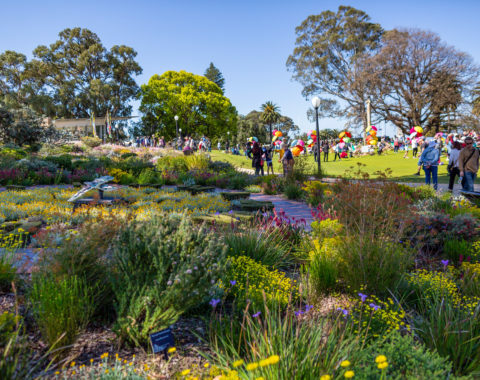 They were particularly drawn to the amazingly colourful flora of WA, and today the garden boasts several WA heroes including a huge array of flowering gums. As a businessman his initial reaction was disbelief. 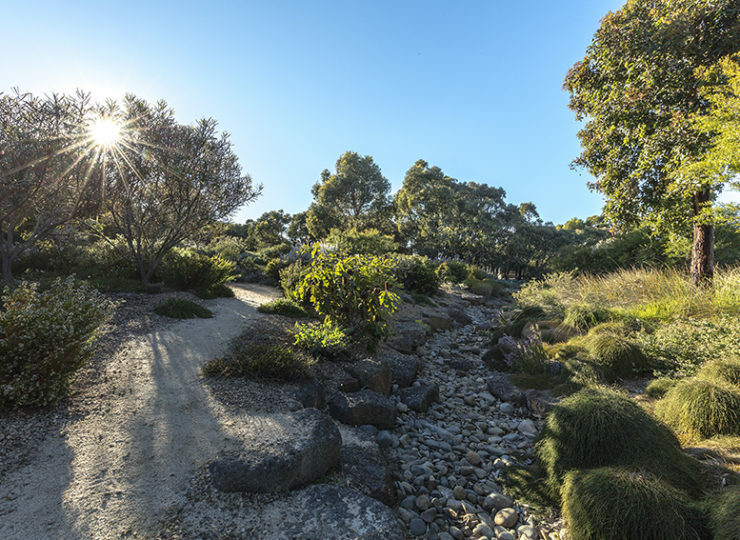 His interest then became entrepreneurial and he set about building a social enterprise to commercialise native Australian plants – with a mission to literally bring them back home. 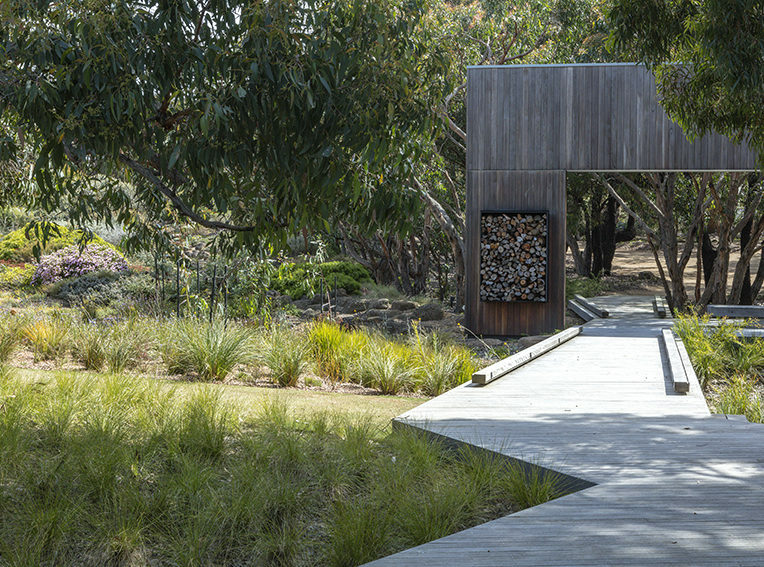 The couple began collaborating with Kings Park in Perth to breed and commercialise flowering gums (corymbia ficofolia) for the Australian market, while they simultaneously started planning their own native garden. 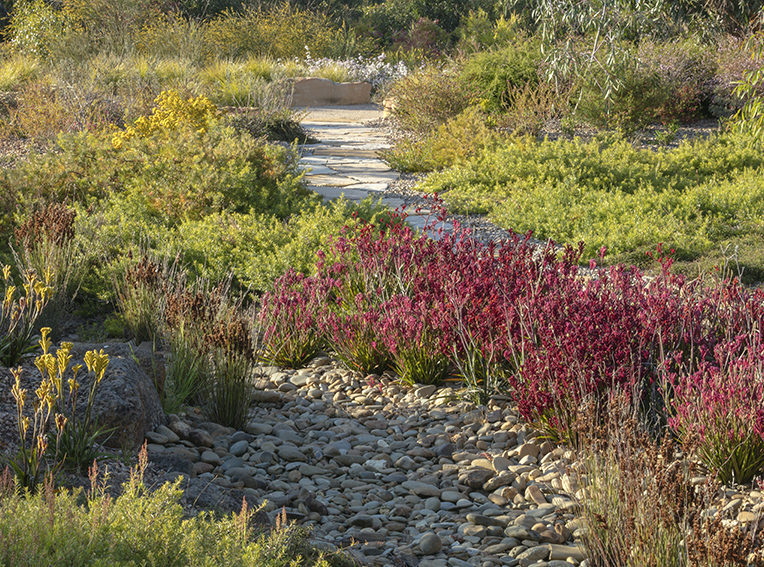 In contrast to gardening exotics, they found there were few reliable suppliers of native plants and even fewer people who could help them create a sophisticated native garden. 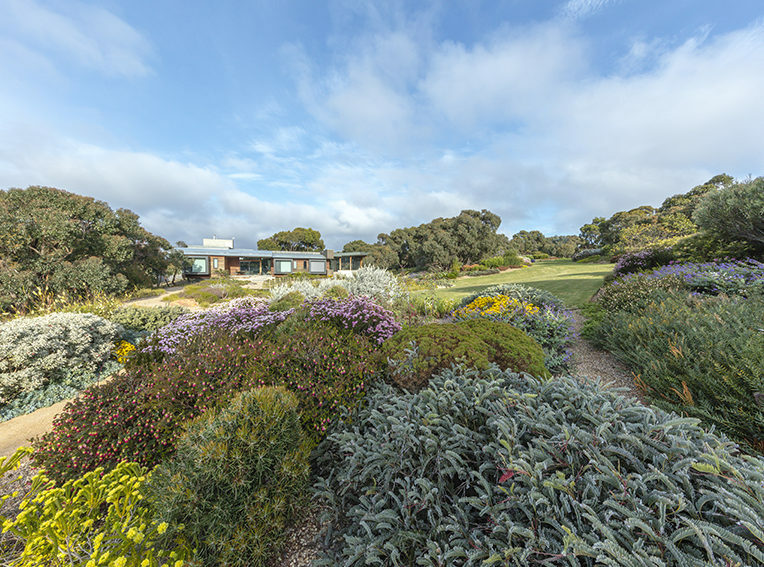 They knew about Paul Thompson’s work on Cranbourne Gardens. With that duality in mind, they set about devising a master plan. 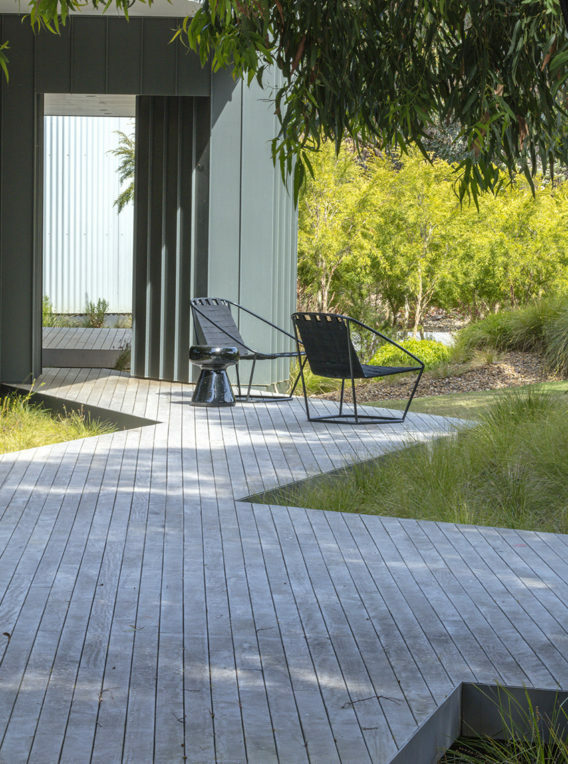 At the time Thompson was committed to other projects so they started with a Melbourne-based landscape design company who devised the overall design and an additional native plant expert to help with the planting. 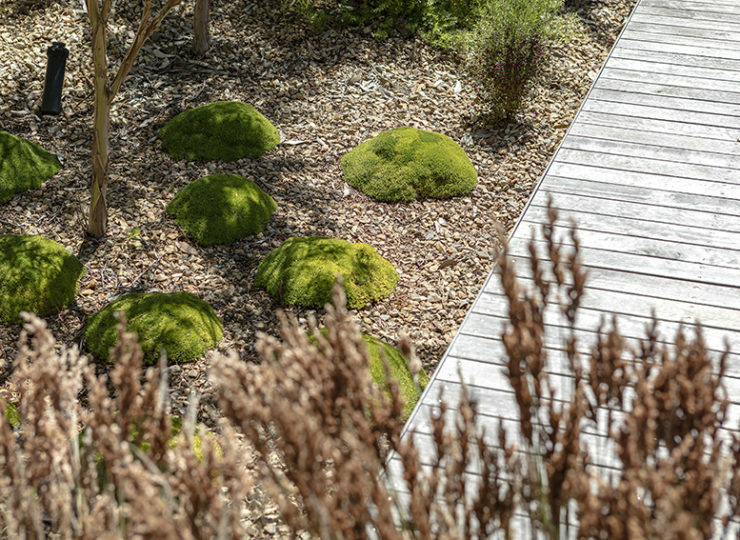 In time Thompson became available and the couple have been thrilled to work with him since, watching the garden grow into something magnificent and ensuring the plants were the heroes the couple wanted them to be. 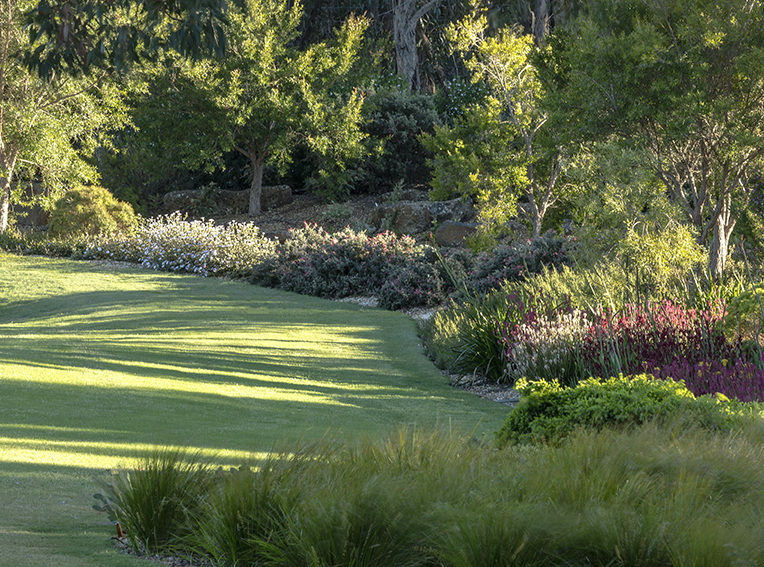 Some of the couple’s favourite species amongst the staggering variety in the garden include the range of kangaroo paws that flower prolifically in December, corymbia ficofolio, flowering gums in pink, red and orange; the structural beauty of the banksia coccinea; the year round elegance of native hibiscus and grevillia magnifica, a primitive and unusual West Australian plant. 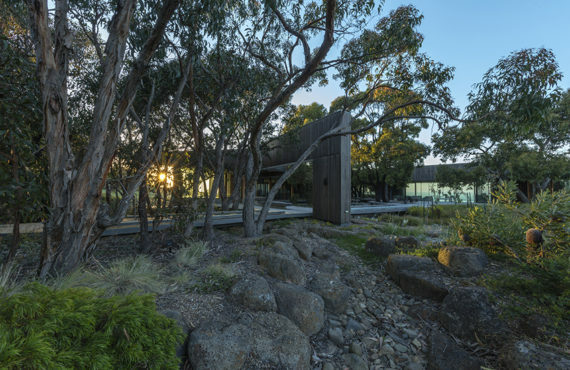 They commute from Melbourne to spend every weekend there when not travelling overseas. 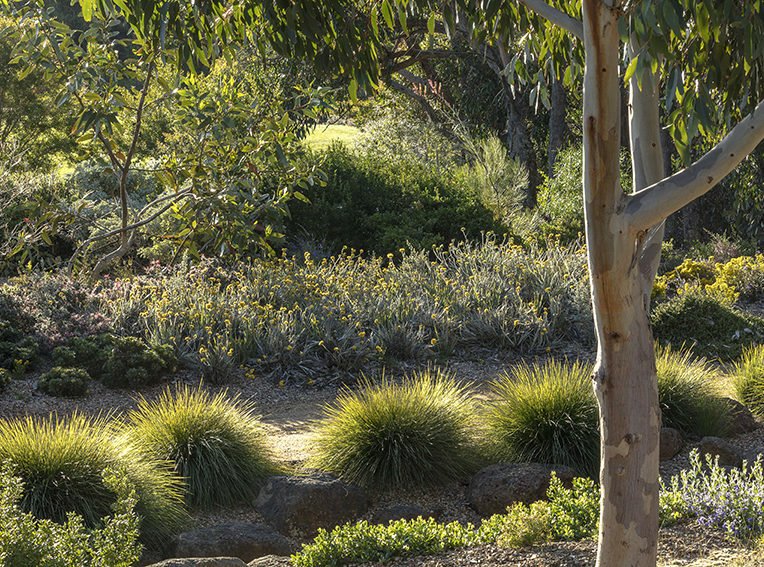 “I love every part of the garden, even the sections that are not yet perfect because they represent an opportunity.” With paths winding through the expansive garden, the couple are able to enjoy the flora’s intricacies from every angle as they wander around. 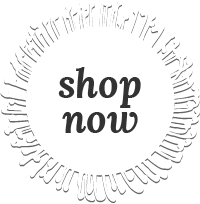 START YOUR OWN NATIVE PLANT PROJECT.